With 30 years’ experience, Lea Hough are immersed in the local area and understand the prevalent market forces, such that we can provide specific, accurate advice based on contemporary market evidence and anticipated trends. The team’s work involves advising corporate or private land owners on how to best prepare and market their land to developers. As such, we know what the market is looking for, allowing us to advise clients on how best to maximise the potential value. Following recent legislative changes, development opportunities exist across the region, but in many cases landowners have to be proactive in their approach to ensure their sites are identified as preferred locations. Lea Hough can advise the best means of achieving this, whether that be landowner led, or in partnership with a developer through Options, Promotion Agreements or Conditional Contracts. 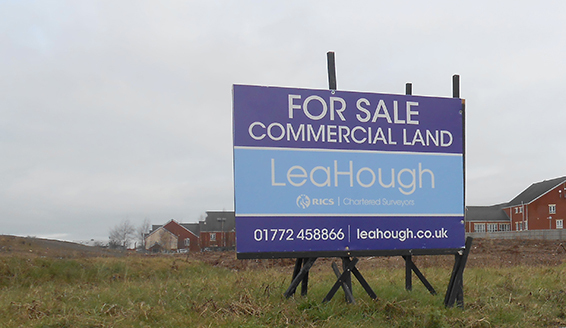 Lea Hough are actively involved in a range of sites coming forward immediately, as well as those being promoted for delivery in the medium to long term. We always look to ensure the client’s needs are met and pride ourselves on our flexible approach in delivering this. This may mean short-term aggressive planning approaches, but we also have extensive experience in collaborative arrangements, through Consortium Agreements between multiple landowners that give the best chance of success for our clients.